See our Kodak shop for full range of Kodak products. Kodak PIXPRO VR 360 Degree 4K Digital Camera is designed to capture lives special moments and everything you love to do from every angle. It takes your creativity and 360 VR photos and videos beyond ordinary to extraordinary. It features three unique multi-view angles that give users the flexibility to frame, capture and shoot your adventures any way you choose. 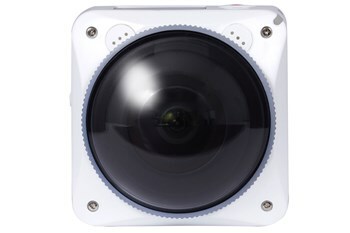 This is all-in-one 360 VR camera with a unique body design that houses dual CMOS fixed focus 4K lenses. The compact and ultra portable design was made to go where you go and capture your lives passions and adventures live never before. With just a few simple steps and one button upload of your 360 videos to YouTube and 360 photos and videos to Facebook, you can take your content live from almost anywhere and have your social media fans and circles craving for more. The wait is over - the future in 360 degree VR photos and videos is here. 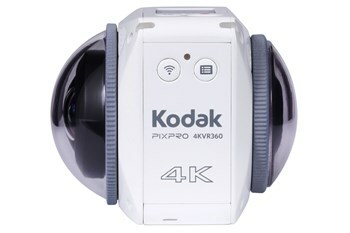 Introducing the all new KODAK PIXPRO 4KVR360 VR camera, designed to capture lifes special moments and everything you love to do from every angle. 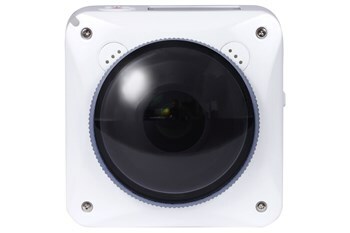 360 degree interactive photos and videos have never been easier. KODAK PIXPRO Digital Cameras - Tell your story. This is our answer to a minimalist and stylistic approach for an all-in-one 360 VR camera with a unique body design that houses dual CMOS fixed focus 4K lenses. The compact and ultra portable design was made to go where you go and capture your lifes passions and adventures live never before. 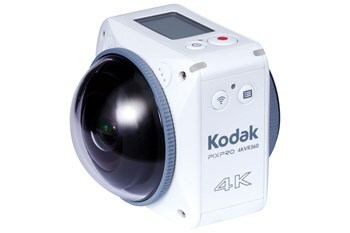 For more information about, Kodak PIXPRO VR 360 Degree 4K Digital Camera White website.